Nicola is a Clinical Social Worker with over 15 years experience providing support to individuals with challenging and complex life circumstances. She has a Master of Social Work, is accredited as a Mental Health Social Worker, a member of the Australian College of Social Workers and is certified by the ISST as an advanced Schema Therapist Trainer-Supervisor. In addition to being committed to providing equitable access to therapy for those who are socially disadvantaged, Nicola also works at a leading South Australian University as a counsellor working with a diverse student population. She has a particular interest in adapting Schema Therapy to short term intervention to fit within Medicare provisions in Australia. STAA has strong links with international and national training programs and are honoured to list Joan Farrell, PhD, Ida Shaw, MA, and Dr Bruce Stevens as part of our faculty. Joan and Ida developed Group Schema Therapy and have written several seminal texts on the clinical practice of Schema Therapy, as well as conducting international multi-site trials of the efficacy of Group Schema Therapy in treating Borderline Personality Disorder. 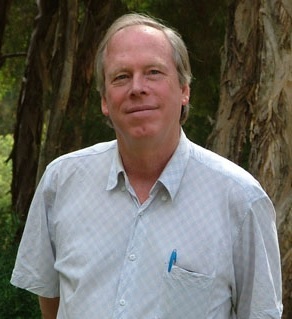 Bruce has written seven books for leading publishers such as Random House, Harper Collins, PsychOz Publications, Australian Academic Press and Wiley-Blackwell.. STAA will be collaborating with Joan, Ida and Bruce in 2017 in order to provide a high quality training program with opportunities to learn from both Australian and International Schema Therapists. Joan is the Co-Director of the Schema Therapy Institute Midwest, Indianapolis Center and Research Director of the IU School of Medicine Center for Borderline Personality Disorder Treatment. 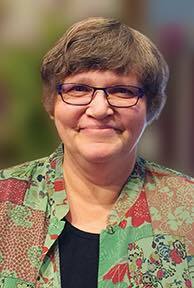 She is an adjunct professor in Clinical Psychology at Purdue University (IUPUI), Visiting Professor at St. Petersburg Polytechnical University in Russia and was a clinical professor in the department of Psychiatry of Indiana University School of Medicine for 25 years. Joan is a Licensed Clinical Psychologist, advanced certified Schema Therapist Supervisor-Trainer in Individual and Group and the ISST Executive Board representative for Training & Certification. She is the author of three books on ST: Group Schema Therapy For BPD, Wiley 2012; The Schema Therapy Clinician’s Guide, Wiley 2014 and Experiencing Schema Therapy from the Inside Out: A Self-Practice/Self-Reflection Workbook, Guilford Press, 2017, as well as numerous book chapters. Ida Shaw is founder and director of the Schema Therapy Institute Midwest-Indianapolis, which has ISST approved Certification Training Programs in Individual, Group and Child-Adolescent (C-A) Schema Therapy. She is the Training Director of the Center for Borderline Personality Disorder (BPD) Treatment & Research, Indiana University School of Medicine – Eskenazi Mental Health Center. Ida is the main clinical supervisor for a number of international research trials including the multisite trial of Group ST for BPD with Arntz and Farrell. She is the author of three books on ST: Group Schema Therapy For BPD, Wiley 2012; The Schema Therapy Clinician’s Guide, Wiley 2014 and Experiencing Schema Therapy from the Inside Out: A Self-Practice/Self-Reflection Workbook, Guilford Press, 2017, as well as numerous book chapters. Her graduate degree is in developmental psychology and she has extensive experience working with children and adolescents in a variety of settings. Her creativity and expertise in the development of experiential interventions in ST for children and adolescents has contributed significantly to the development of C-A Schema Therapy. Bruce is an endorsed clinical and forensic psychologist who has specialised in helping couples for over twenty years. He has given countless professional workshops and is an advanced trainer in Schema Therapy for couples and individuals. He holds the academic position of Wicking Professor of Ageing and Practical Theology at Charles Sturt University, Canberra, Australia. His two most recent books on Schema Therapy are Schema Therapy for Couples: A Practitioners Guide to Healing Relationships, with international authors Dr Chiara DiFrancesco (USA) and Dr Eckhard Roediger (Germany) and Breaking Negative Relationship Patterns, with Dr Eckhard Roediger. Available for download is his eBook, Emotional Learning: the Way we are Wired for Intimacy. 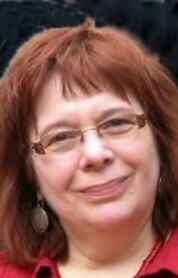 STAA is pleased to be affiliated with Sally Skewes, our E-Health Consultant. Sally is a Clinical Psychologist Registrar in private practice, a supervisor at the University of South Australia in Adelaide and an advanced certified Schema Therapist Trainer-Supervisor. Sally recently co-founded and developed the E-Heath tool Secure Nest, which has been specifically designed to compliment Schema Therapy.. We are currently using this excellent resource in our therapeutic practice and have been experiencing some great results with our clients so far. To the credit of the tool and Sally's hard work, the product has recently been picked by some European countries for use with their client populations.